We love truffles because tucked within the shell of these tiny, delectable morsels lies a sweet surprise. The Truffle House is no different. Ensamble Studio created a rough concrete exterior, left for years in the wilderness, and then hollowed it out to create a tiny home with waterfront views. The Truffle sits on a hilltop in Laxe, Spain, and consists of only the necessities, a bed, shower, sink, and kitchenette. 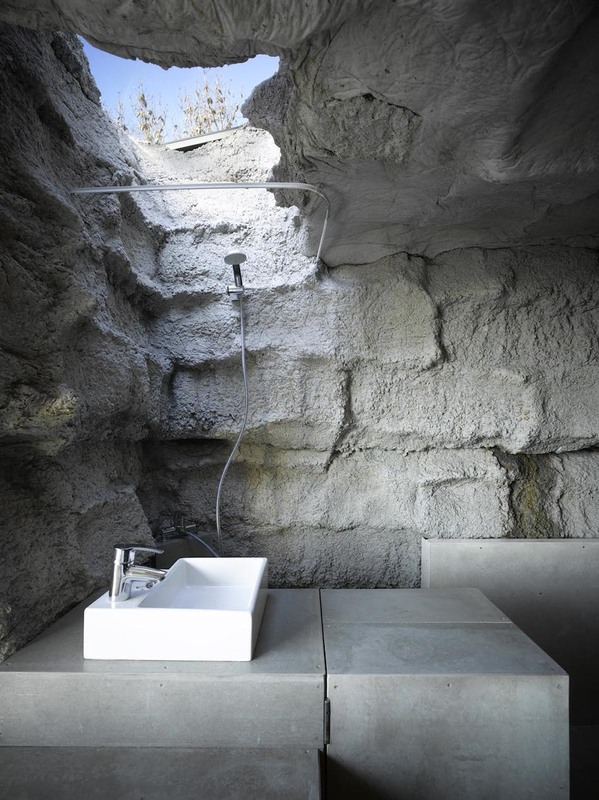 Ensamble retrofitted the hollowed out interiors with smooth grey stone to complement the rough rock exterior. We were dying to hear firsthand from the architects themselves about the process behind the creation of little Truffle. Below Ensamble shares their process. "The Truffle is a piece of nature built with earth, full of air. A space within a stone that sits on the ground and blends with the territory. 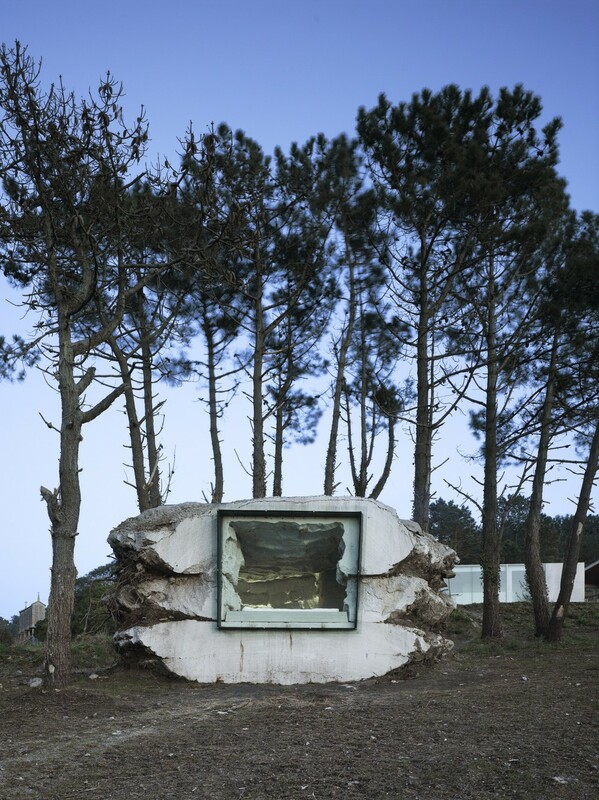 It camouflages, by emulating the processes of mineral formation in its structure, and integrates with the natural environment, complying with its laws. To build it, we made a hole in the ground, piling up on its perimeter the topsoil removed, and we obtained a retaining dike without mechanical consistency. Then, we materialized the air building a volume with hay bales and flooded the space between the earth and the built air to solidify it. The poured mass concrete wrapped the air and protected itself with the ground. Time passed and we removed the earth discovering an amorphous mass. The earth and the concrete exchanged their properties. The land provided the concrete with its texture and color, its form and its essence, and concrete gave the earth its strength and internal structure. But what we had created was not yet architecture, we had fabricated a stone. We made a few cuts using quarry machinery to explore its core and discovered its mass inside built with hay, now compressed by the hydrostatic pressure exerted by concrete on the flimsy vegetable structure. To empty the interior, the calf Paulina arrived, and enjoyed the 50m3 of the nicest food, from which she nourished for a year until she left her habitat, already as an adult and weighing 300 kilos. She had eaten the interior volume, and space appeared for the first time, restoring the architectural condition of the truffle after having been a shelter for the animal and the vegetable mass for a long time."